Getting ready for one of the three moves that eventually resulted in the main retail outlet on State Street. 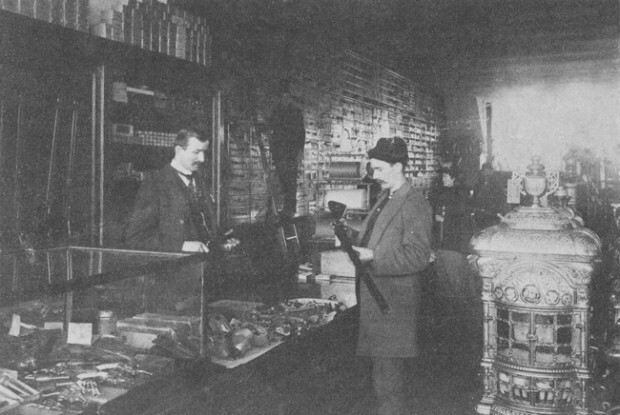 About 1894, described as the "Middle Store", Charles Keefer is seen buying a gun from Edward C. Minas (behind the counter). Over the right shoulder of Mr. Keefer is Mrs. Edward C. Minas (Maude E.). On the ladder is a youngster, Emil Minas, seen retrieving items from the vertical shelves. 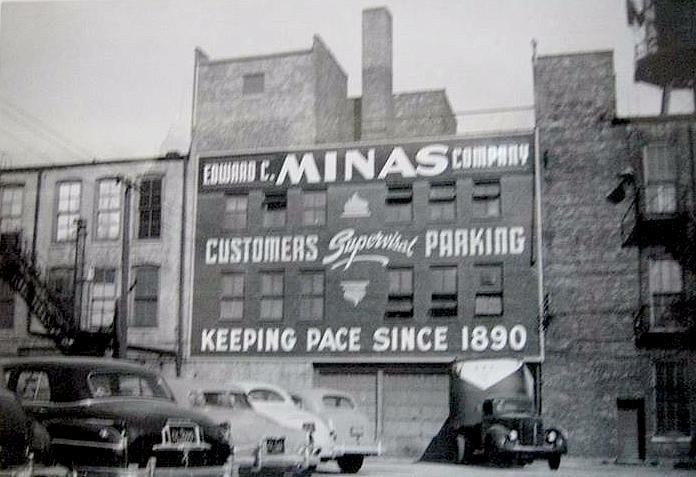 The Edward C. Minas Department Store, was located on the south side of East State Street (building on the left). It was a locally owned retail establishment known for its quality household goods. For many years, the Hammond High School Madrigal Choir would be invited each Christmas to walk the aisles and sing Carols to Holiday shoppers. 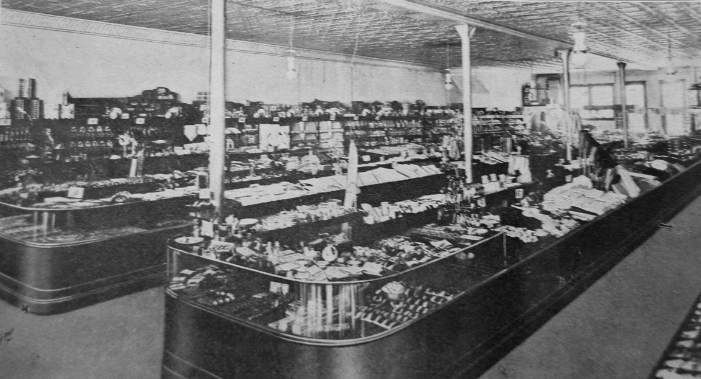 The store served Calumet area customers for nearly 100 years before changes in America's shopping habits and the decline of the downtown shopping district contributed to its demise. The Minas Family was a strong community benefactor and was well respected by everyone. One of the most highly used elevators in downtown Hammond. The two elevators were constantly attended to by Minas staff who whisked customers from one floor to the next. You didn't have to wait long for a car and the little dials above each entry door told you where the next elevator was and in which direction it was headed. Staff was always welcoming, providing answers to questions like, "Where may I find the linens...?" This photo was taken on the first floor. 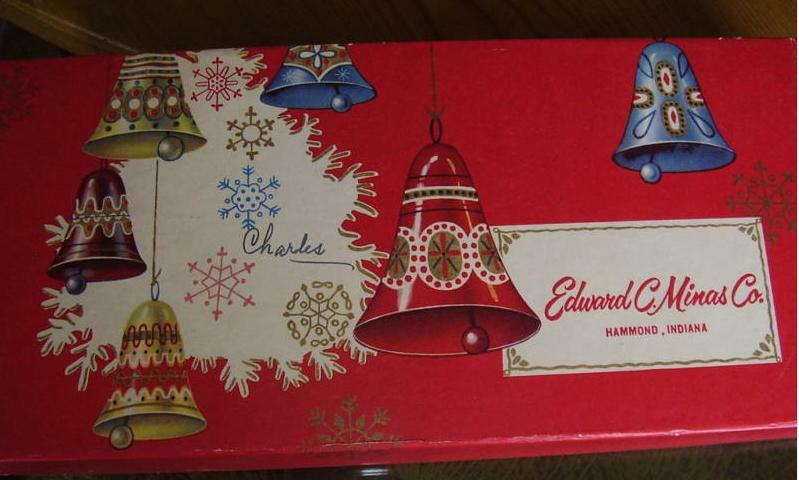 One of the first Hammond stores to market its own name, special boxes and gift wrapping added an elegant touch to the occasion. 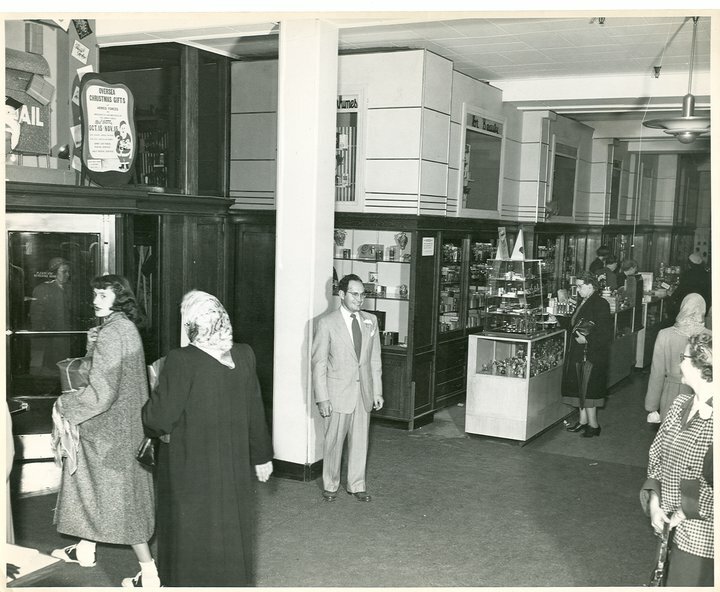 Edward C. Minas was an upscale merchandiser bringing in the best products for the emerging buying public. 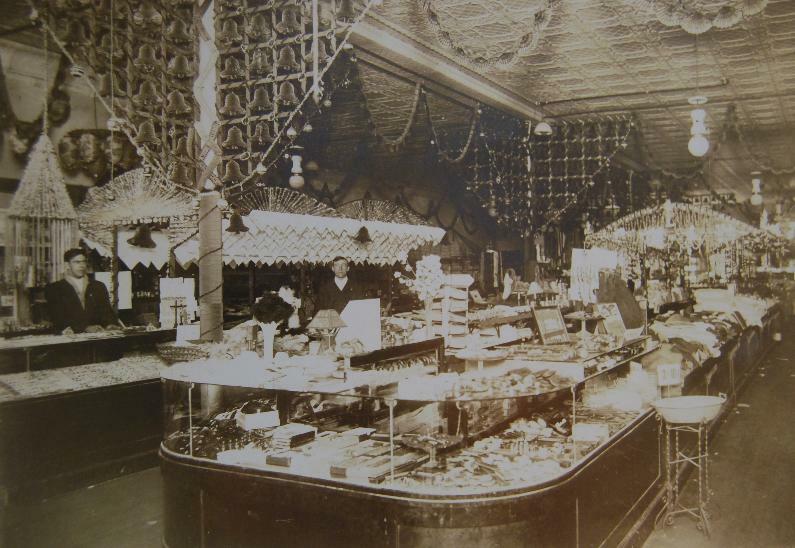 A picture of the interior of Minas' with a floor walker to assist customers. 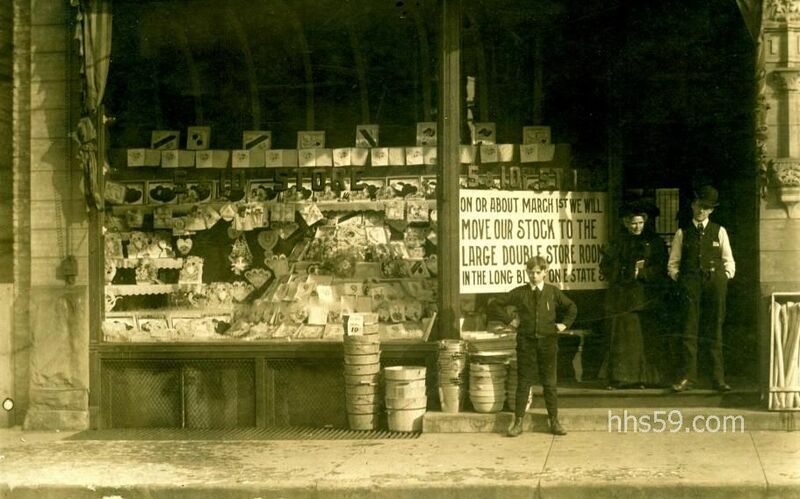 A large inventory of quality goods always awaited the shopper. A classy store that provided the best for the retail market. Looking north from the Minas parking lot, a truck is making a delivery while customers line up to park. 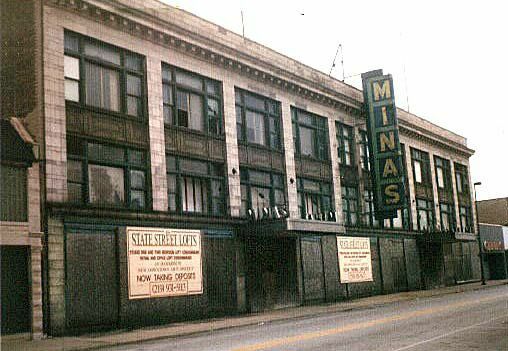 It was thought that remodeling the Minas building would help save it from demolition. The State Street Lofts was to be a housing project that would attract others to live in the downtown area. 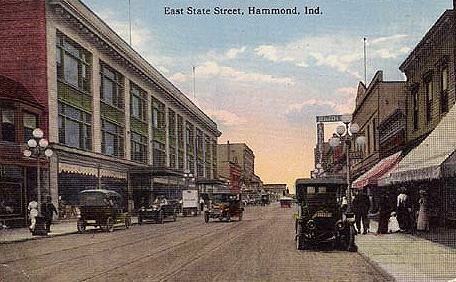 By this time, however, much of the city's downtown infrastructure was gone and living in downtown Hammond was not desirable. 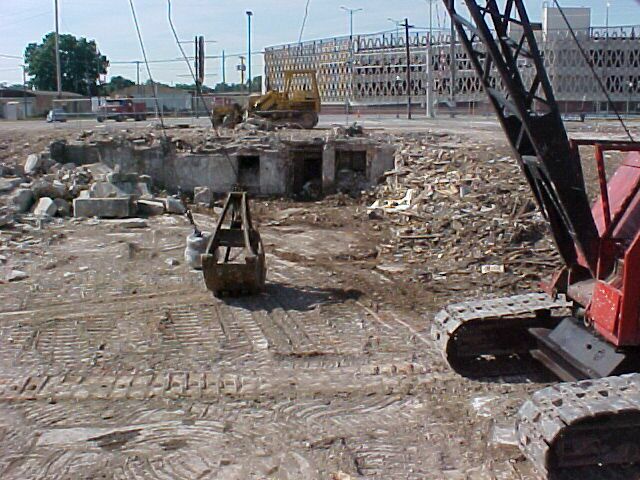 This is what remains of the Edward C. Minas establishment (looking south from State Street frontage) The building on horizon right is the Minas parking garage, still standing and still in use. You can see a step-by-step demolition of the building, by clicking the link below, then use your BACK key to return to this webpage. 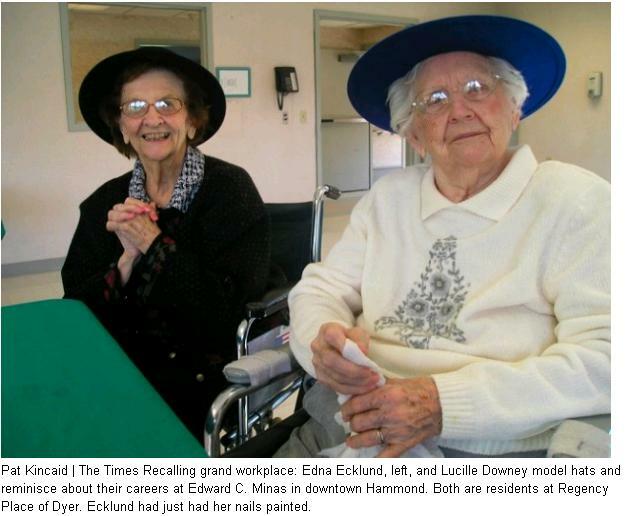 in a recent article from the NW Indiana Times.